Aban Loyd Chiles Offshore Limited is India’s largest offshore drilling contractor in the private sector, offering world-class drilling and oil field services for offshore exploration and production of hydrocarbons to the oil industry in India and abroad. Our innovative and cost effective solutions make us one of the most efficient international drilling contractors. Thanks to a highly qualified professional team backed by years of experience and expertise, we continue to foray into newer waters. Atwood Oceanics, Inc., its international operating subsidiary, Atwood Offshore Worldwide Limited and related subsidiaries (“the Atwood Group”), are engaged in the business of international offshore drilling, as well as the completion of exploratory and developmental oil and gas wells, plus related support, management, and consulting services. Enhancing shareholder value through safe, quality operations is at the core of everything we do. BOURBON is a major international player in offshore oil and gas marine services and offers the most demanding clients worldwide, a comprehensive range of innovative, latest-generation, highly productive vessels, and a modular offer of subsea services. Crosco’s priority is to provide integrated onshore and offshore drilling and well services with highly experienced personnel and equipment. Another objective of the company, and the responsibility of each employee, is to continually exceed industry standards for Health, Safety, Environment and Quality and to improve Efficiency and Profitability. Diamond Offshore Drilling, Inc., a leading deepwater drilling contractor, owns and operates one of the largest fleets of offshore drilling units in the world. The company’s diverse fleet consists of 33 semisubmersibles, 13 jack-ups and four dynamically positioned drillships, three of which are on order with delivery expected in 2013 and 2014. Fred. Olsen Energy ASA (the Company) provides exploration and production services to the offshore oil and gas industry building on 150 years experience in shipping and more than 35 years in offshore drilling. The Company focuses on rewarding long term customer relationships where innovative and integrated solutions are presented to the benefit of our customers, shareholders and employees. Ensco brings energy to the world as a global provider of offshore drilling services. We are the industry leader in customer satisfaction with the second largest offshore drilling fleet. We have an uncompromising commitment to the safety of our employees and the environment and the highest ethical standards. The fleet includes seven drillships, 13 dynamically-positioned semisubmersibles, seven moored semisubmersibles and 49 premium jackups. Ensco’s operations span six continents and our rigs have drilled some of the most complex wells in virtually every major offshore basin around the globe. Helmerich & Payne, Inc. (“H&P”) is the successor to a business originally organized in 1920. H&P is primarily engaged in contract drilling of oil and gas wells for exploration and production companies. The contract drilling business accounts for almost all of H&P’s operating revenues, making it one of the major land and offshore platform drilling contractors in the world. JDIL is one of the leading Drilling Contractor in India providing services to National and International E&P Companies. We have distinguished ourselves from other service providers for quality of service, operational and safety performance, equipment suitability and availability, reputation, reliability and technical expertise. KCA DEUTAG is one of the largest international drilling contractors. The company employs 8,000 staff in more than 22 countries and it had revenue in 2010 of US$1.34 billion. KCA DEUTAG is currently the drilling operations contractor on 33 offshore platforms worldwide and owns and operates a fleet of mobile offshore drilling units consisting of 3 jack-ups and 3 self erecting tender barges. The company also owns and operates a fleet of more than 60 land drilling rigs. Maersk Drilling supports global oil and gas production by providing high-efficiency drilling services to oil companies around the world. We command an extensive and technologically advanced fleet of six harsh environment jack-up rigs, three deepwater semi-submersibles, one 3,000 ft semi-submersible, four 350 ft & two 375 ft jack-up rigs and ten cantilevered drilling barges. The Nabors companies own and operate approximately 550 land drilling and approximately 727 land workover and well-servicing rigs in North America. Nabors’ actively marketed offshore fleet consists of 37 platform rigs, 13 jack-up units and 3 barge rigs in the United States and multiple international markets. In addition, Nabors manufactures top drives and drilling instrumentation systems and provides comprehensive oilfield hauling, engineering, civil construction, logistics and facilities maintenance, and project management services. Nabors participates in most of the significant oil, gas and geothermal markets in the world. Jasper Offshore is an international offshore drilling contractor providing efficient, safe and reliable drilling services to the oil & gas industry. The Company owns and operates its own fleet of Mobile Offshore Drilling Units as well as providing project and operational management services. The Company owns and operates its own fleet of Mobile Offshore Drilling Units as well as providing project and operational management services. Noble Corporation celebrates its 90th year in 2011. Very few companies, and even fewer drilling contractors, can claim this milestone. The Company’s proactive style of management has guided it from a one rig operation in 1921 to one of the largest offshore drilling contractors in the world today. The Company’s growth since the time of its spin-off from Noble Affiliates in 1985 has come about through a series of strategic acquisitions of offshore drilling assets and ancillary, non-capital intensive businesses around the world. Odfjell Drilling operates a number of semisubmersibles in the North Sea and has more than 36 years of international experience of design, ownership and operational management of semisubmersibles, drillships, jack-ups and modular drilling units. During the recent years Odfjell Drilling have invested heavily in the renewal of its company fleet, covering state of the art ultra deepwater drilling units capable for worldwide operations in all environmental conditions. Parker Drilling (NYSE:PKD) provides advanced drilling solutions to the energy industry. We are a technically innovative company providing worldwide drilling services, rental tools and project management, including rig design, construction and operations management. Parker’s international fleet includes 28 land rigs and two barge rigs in strategic markets, and its U.S. fleet includes 13 barge rigs in the U.S. Gulf of Mexico. Parker’s rental tools business supplies premium equipment to operators on land and offshore in the U.S. and select international markets. Parker’s project management business includes multiple contracts for the design, construction or operation of customer-owned rigs, including operation of two extended-reach-drilling land rigs (also designed and built by Parker) and one offshore drilling platform. Precision Drilling Corporation is Canada’s largest oilfield services company and one of the largest in the United States. Precision also has a growing presence internationally. Precision provides contract drilling, well servicing and strategic support services to customers. Precision supplies on-the-ground expertise – people, equipment and knowledge – to provide value to our customers on a daily basis. Saipem is a large, international and one of the best balanced turnkey contractors in the oil & gas industry. Saipem has a strong bias towards oil and gas related activities in remote areas and deepwater and is a leader in the provision of engineering, procurement, project management and construction services with distinctive capabilities in the design and the execution of large-scale offshore and onshore projects, and technological competencies such as gas monetization and heavy oil exploitation. Seadrill is a leading offshore deepwater drilling company, aiming to be our customers’ most important partner in making oil and gas available in a safe and cost-effective manner. The company operates a versatile fleet of 60 units that comprises drillships, jack-up rigs, semi-submersible rigs and tender rigs for operations in shallow to ultra-deepwater areas in harsh environment and benign environments. Seadrill has some 6,650 skilled and highly competent employees, representing some 50 nationalities, operating in 15 countries on five continents. Songa Offshore is an international offshore drilling company operating a fleet of 5 semi-submersible rigs with an additional 3 on order. Songa Offshore’s portfolio spans the mid-water and ultra-deepwater market segments. With a highly experienced management team, Songa Offshore’s vision is to provide safe, efficient and reliable drilling services. The company is headquartered in Limassol (Cyprus), and currently has operating offices in Oslo, Stavanger, Houston, Singapore, and Perth. Stena Drilling, a wholly owned subsidiary of Stena AB, Gothenburg, Sweden is one of the world’s foremost independent drilling contractors. In 1989 and 1996 Stena acquired Houlder Marine Drilling and Ben Line Steamers / Atlantic Drilling, respectively; and with them, history and pedigree dating back to the mid-1970s. The acquisitions were strategic in providing Stena Drilling, not only with worthy drilling units, but also with staff and personnel, who brought invaluable operational experience and success into the Company. Today, Stena Drilling manages a global business, holding a portfolio of successful, past and present operations in the North Sea, US Gulf of Mexico, South East Asia, Mediterranean, Caribbean, South America, Australia, North Africa and West Africa. In expanding its fleet of well-maintained drilling units, the Company has had an active role in building and converting rigs and, in doing so, pioneering some of the most leading-edge technologies and innovations in the drilling world. 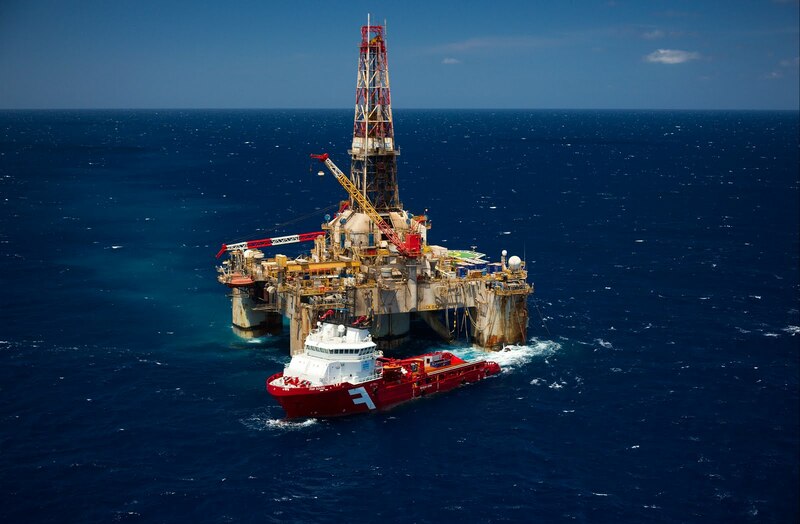 Transocean, the world’s largest offshore drilling contractor, provides the most versatile fleet of mobile offshore drilling units to help customers find and develop oil and natural gas reserves. Building on more than 50 years of experience with the highest specification rigs, our 18,000 employees are focused on safety and premier offshore drilling performance. Below is an address list of drilling companies, catering companies, drilling related employment agencies, oil companies & other international offshore & onshore employment agencies. This list is not as up to date as it might be and you might find a few CVs returned due to incorrect addresses. ADEN Services (Asia) Co. Ltd.
ADEN Services (Beijing) Co., Ltd.
Alba House, Princes Street, Douglas, I.o.M. The Parade Market Square, Castletown, I.o.M. Manannan House, Market Square, Castletown, I.o.M.